US District Court Judge Amy Berman Jackson ruled Manafort "made multiple false statements" to the FBI, Mueller's office and a grand jury, the BBC reported. 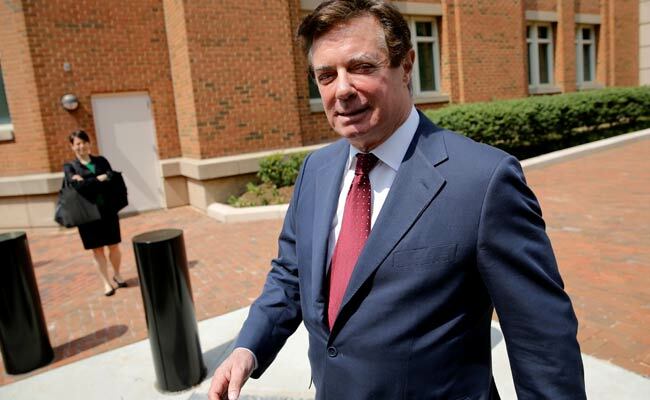 US President Donald Trump's former election campaign chief Paul Manafort breached his plea deal with special counsel Robert Mueller by lying to prosecutors, a US judge has said. Mueller leads a probe into Russian meddling in the 2016 US election. Manafort, 69, then accepted a plea deal on other charges in return for co-operating with Mueller's investigation. In her ruling on Wednesday, Judge Berman Jackson said there was evidence that showed Manafort had lied about -- among other things -- contacts he had with Konstantin Kilimnik, a Russian political consultant. Prosecutors claim Kilimnik had ties to Russian intelligence. The verdict means that Manafort -- who has been held in a detention centre in Virginia since June -- could now potentially face harsher sentences or have charges against him re-filed. Last year, Mueller said that Manafort lied "on a variety of subject matters" after signing the plea deal. A month later he pleaded guilty to one charge of conspiracy against the US and one charge of conspiracy to obstruct justice in a plea bargain with Mueller. The agreement avoided a second trial on money laundering and other charges. The plea deal meant Manafort would face up to 10 years in prison and would forfeit four of his properties and the contents of several bank accounts -- but deadlocked charges from the previous trial would be dismissed. It was the first criminal trial arising from the Department of Justice's investigation into alleged Russian interference in the presidential election. However, the charges related only to Manafort's political consulting with pro-Russian politicians in Ukraine, largely pre-dating his role with the Trump campaign.